Eleven people braved the cold showery weather and were rewarded with a largely clear day for their exploration. Manawa Karioi is easily accessible from Danube St or Rhine St, Island Bay. Although privately owned by the Tapu Te Ranga Marae Trust, it is publicly accessible. 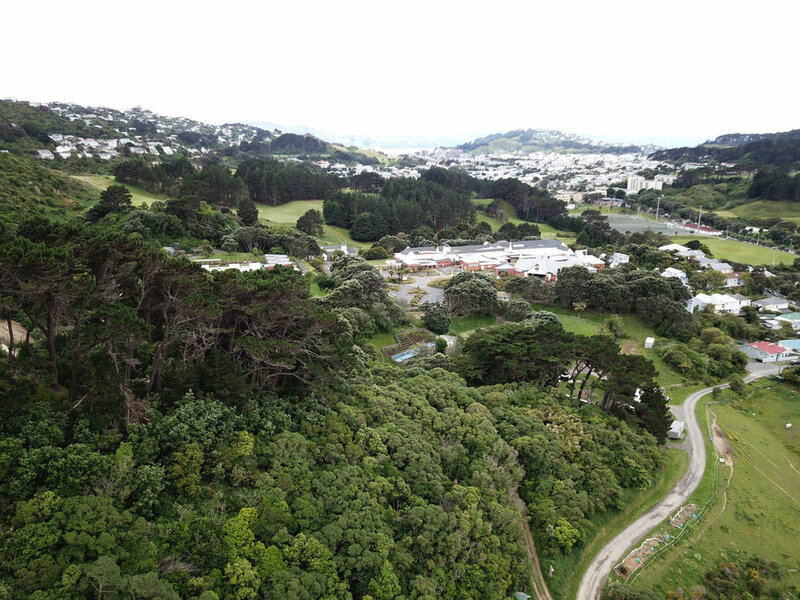 As one of Wellington’s earliest restoration projects, and one which has been undertaken with ecological integrity from the outset, it is worth botanists’ attention and has recently been included in a comprehensive Waikato University study of urban forest restoration sites across NZ. We traversed the main tracks in the northern part of the reserve and spent most of our time in two gullies where a range of restoration plantings have been concentrated. We had the benefit of an early (1992) species list compiled by Maggie Wassilieff, and a comprehensive up to-date list compiled by Pete Russell. 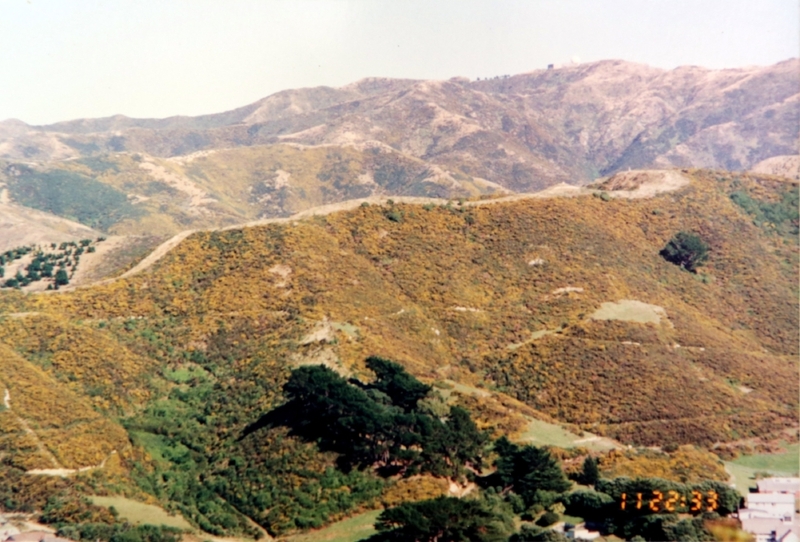 The latter included a vast list of plant pests and other adventive NZ native and introduced species, indicating the size of the task any reserve manager hoping to undertake serious ecological restoration in a city suburb must undertake. We inspected and discussed the range of species planted. In recent years Manawa Karioi has enriched the early planted successional species such as ngaio, Veronica parviflora, Coprosma spp, puka, kawakawa, māpou etc., with small numbers of later successional species including tawa, kohekohe, northern rātā, porokaiwhiri, Sophora spp, black maire, and the podocarps rimu, mataī, miro, kahikatea and tōtara, plus a few vines including kiekie and puawhānga. All species planted since the start have been locally ecosourced. 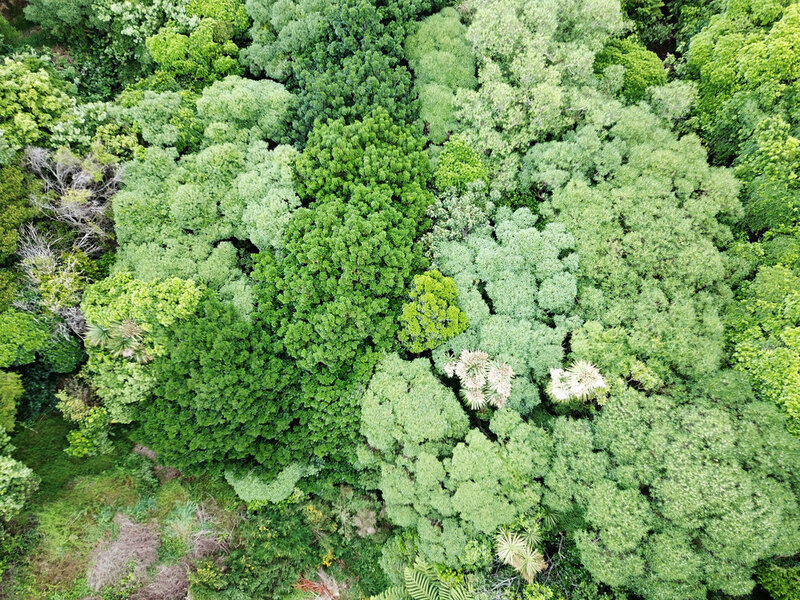 We were pleased to see the range of planted species that are now freely regenerating, including tōtara, ngaio (very prolific and probably now the most significant forest canopy dominant), kōwhai, and many smaller broadleaved trees. We also saw small apparently regenerating puawhānga (now flowering, see photo), and a few planted swamp maire which are doing well. Thanks to Eleanor who collated the species observations which included several additions to the list, including six fern species. We also observed for the first time Coprosma areolata which may well have selfintroduced from Tawatawa Reserve across the ridge. Non-local natives such as karaka, karo, lacebark and five-finger hybrids are also thriving, and we discussed weed control priorities, which Manawa Karioi are now reassessing. Our pick of the most urgent control priorities included climbing asparagus, wild ginger, Darwin’s barberry, flowering cherry, privet and karo. With the exception of karo, these are all of relatively limited distribution in the reserve. We felt that generally the reserve was in good condition with fewer weeds impeding native succession than in comparable Wellington reserves. Participants: Paul Blaschke (leader/scribe), Eleanor Burton, Gavin Dench, Michelle Dickson, Richard Grasse, Kate Jordan, Rodney Lewington, Russell Poole (Palmerston North), Peter Russell (Manawa Karioi group), Sunita Singh (co-leader), Xavier Warne. We are looking for Volunteer Scrub-cutter Operators for mowing the grass on the tracks through the reserve with a scrub-bar every 6-8 weeks during the period November - April and less frequently during the rest of the year. Each volunteer will be responsible for a section of track that will take about 2 hours to mow. The scrub-bar and fuel and safety equipment will be provided by us. 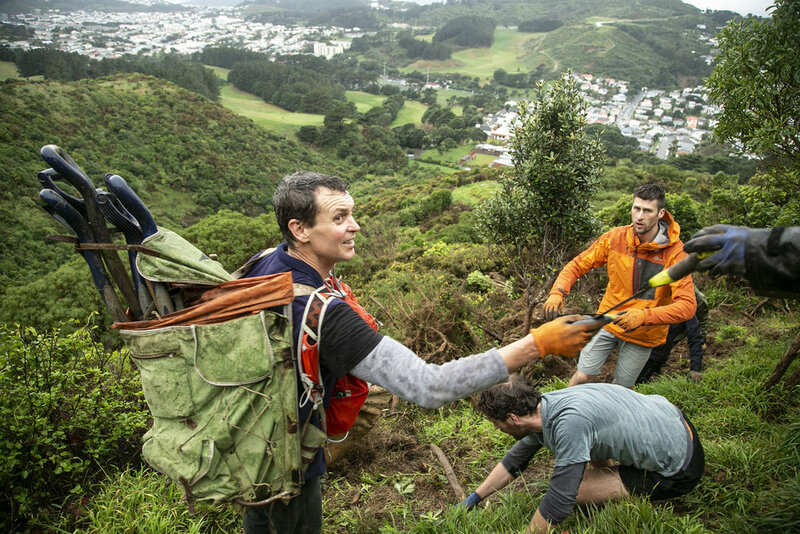 We are an ecological restoration project in Island Bay that is open to the public and is a valued recreational resource for walkers: runners: mountain bikers and horse riders. We would like scrub-bar operators to commit to doing the job for a minimum of 6 months and would be delighted for them to continue beyond that for as long as they like. We are hosting two of our popular guided walks at Manawa Karioi in March 10th at 11am and 1pm. Join us for a casual walk around the tracks with a Manawa Karioi with some of our committee members and hear about the progress of the restoration project, hear about the history of the land and discover some new tracks. Please bring a gold coin koha that will go towards the running costs of our project. Dogs are welcome on leads. Meeting at Tapu te Ranga Marae carpark by the interpretation board at the end of Danube Street. To celebrate Mental Health Awareness Week, The Island Bay Community Center and the Manawa Karioi Society would like to invite you to a community picnic at the Manawa Karioi Ecological Restoration Project. The theme for the Mental Health Awareness Week is ‘Let Nature in’ so we have found a picturesque flat grassy spot that is just 5 minutes walk from the Tapu te Ranga Marae carpark in Island Bay. Pack a picnic of delicious snacks, gather your family and friends and join us for our community picnic in the regenerating native forest of Manawa Karioi. Children and dogs on leads are welcome. Meeting at 2pm at the interpretation shelter in the Tapu te Ranga Carpark and we will have signposts for any late arrivals. Depending on interest we can lead a bush walk on the tracks after the picnic around 3.30pm. Meet at the Tapu te Ranga Marae carpark and at 2pm, walk up to the picnic area. Katherine has chosen Manawa Karioi as a research site and because of its age, she has made two research plots on the site. What a difference a decade (or two) makes! Nothing better illustrates the progress that can be rapidly made than a few photos that were taken decades apart. 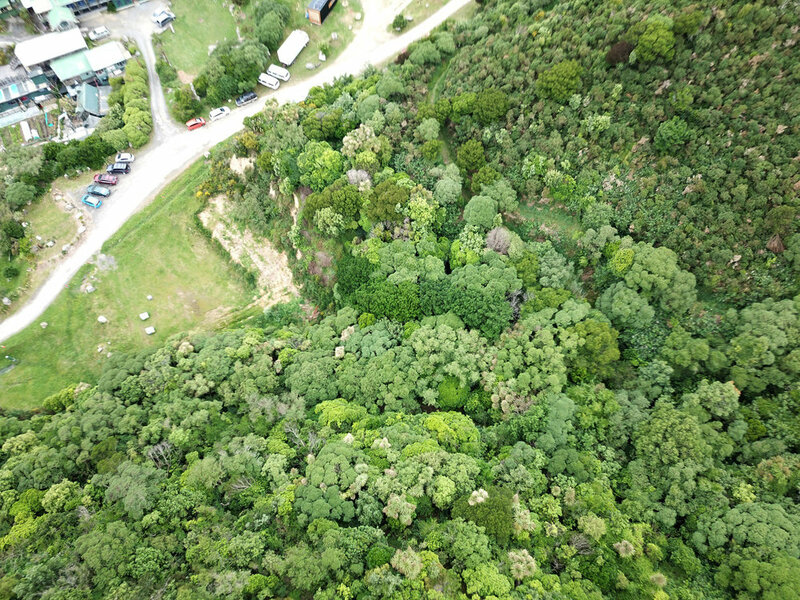 Here are three views looking at the main gully and hillside above the Tapu Te Ranga Marae carpark, and one shot from under the established canopy. This photo was taken around 1994. The first plantings were done in 1991, and most are around 1 metre high. Notice that gorse is rapidly taking over the grassy slopes of the former farmland. Photo 2 was taken in 2008. 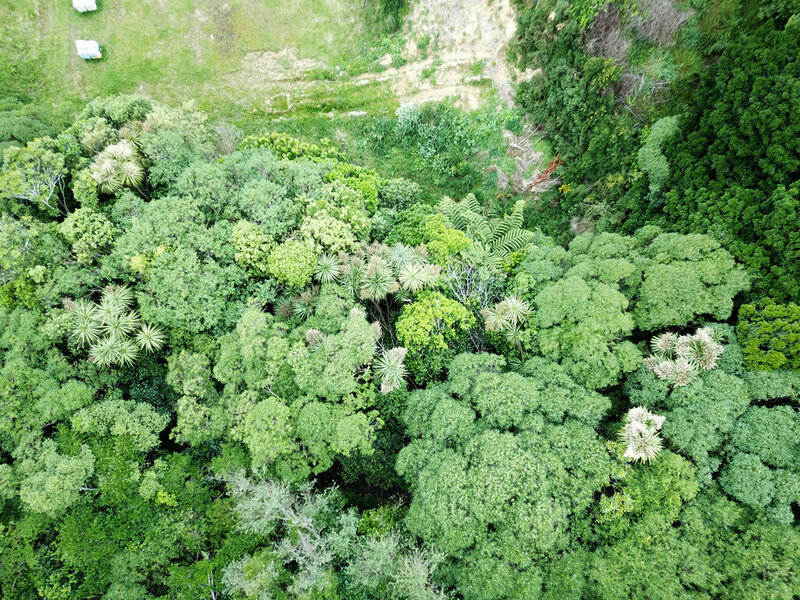 The canopy has gotten taller, and the plantings are spreading up the gullies. The gorse has also gotten taller and has become a major problem (along with blackberry) by blocking the tracks, which require a lot of effort to keep open. What isn't visible is that a lot of natural regeneration is occurring under the gorse. The seed source for this comes from the faster-growing species that have already been planted, as well as from nearby regenerating bush in the surrounding Town Belt. Photo 3 was taken recently in early 2018. Like the other two photos, it was taken when the gorse was in flower (bright yellow flowers) as this is the best way of distinguishing gorse from other vegetation. The first thing that really strikes you is how little gorse there is now. Many years of planting along the track sides have resulted in the gorse getting shaded out and dying off, making track maintenance much easier. This method also eventually shades out the blackberry. 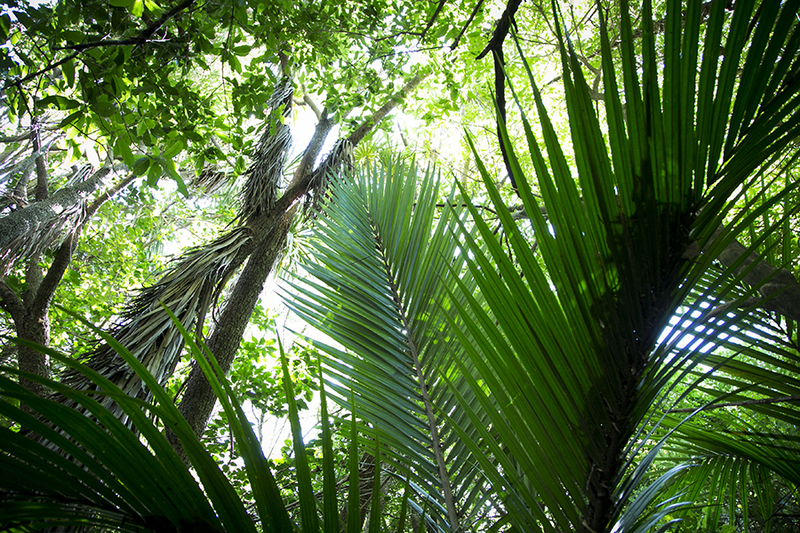 The canopy has grown up to 15 metres high in the lower gully, and the diversity of underplantings has greatly increased. Natural regeneration continues, with kawakawa becoming abundant. This plant gives this coastal part of south Wellington its' original name of "Paekawakawa". As gorse is highly flammable, the risk of accidental fire is greatly lowered when forest returns, as many native trees are not as combustible. This has been shown from a couple of accidental fires at Manawa Karioi (possibly started by discarded cigarette butts) and also from several deliberately lit fires over the hill in Happy Valley. A shot looking up at the canopy near where the fresh-water spring emerges. 20 years ago this was a sunny clearing choked with blackberry. Now the nikau and some of the podocarps are between 3-5 metres high! We welcome any groups who want to help us out; it can be a great team-building exercise or just a way to contribute something practical to the project. Each year, we run our planting working bees each Sunday of May and August, planting is in winter to allow the plants to establish roots before the drier summer months arrive. This year, we used social media, a new website and emails to attract volunteers, and as a result we have been rewarded with lots of volunteers showing up to our working bees. Clematis paniculata flowering in Seed Source Gully, not to be confused with introduced invasive Clematis vitalba (old man's beard). This is possibly the first time this species has flowered at the Manawa Karioi site in 150 years. Although occasionally present in gardens, this is a great step towards re-establishing this plant in the local area using locally sourced seed, thereby helping to protect the local gene pool of this species. Planted 5 years ago, this is an example of our efforts to re-establish the broad range of plants that once existed in the area. These are female flowers - the species is diecious (has separate male and female plants). So we will need to establish a few male plants nearby to pollinate it. Island Bay’s Manawa Karioi Ecological Restoration Project has won a $5000 grant to erect signs and put in track markers that will help people walk local bush trails. The money comes from the Walking Access Commission’s Enhanced Access Fund, which supports local groups to build and preserve outdoor access - especially tracks and trails. Walking Access went to Manawa Karioi to meet Chris Livesey from the restoration project. Chris says that currently the tracks, none of which are marked, can be a confusing web for people who have not used them before. New map panels at the entrances to Manawa Karioi and colour-coded track markers will help more people to enjoy them. Are you keen to help keep the wheels of the Manawa Karioi Ecological Restoration Project turning, or to learn more about the project? consider joining the Society's Committee to help shape the direction of the project and to help with its implementation. The context for our project is given by the Society's rather unique objectives - see below. The last year has seen good progress with additional planting, weed control and track maintenance. During the next year we will also be putting effort into track signage so that our tracks are more accessible and user-friendly. The AGM is an opportunity to collect our thoughts, review our progress and make plans for the future.